For some people, back pain is simply an annoyance. For others, it can be excruciating and disabling. Causes of pain in the low and upper back include conditions affecting the bony spine; discs between the vertebrae; ligaments around the spine and discs; spinal inflammation; spinal cord and nerves; muscles; internal organs of the pelvis, chest, and abdomen; tumors; and the skin. 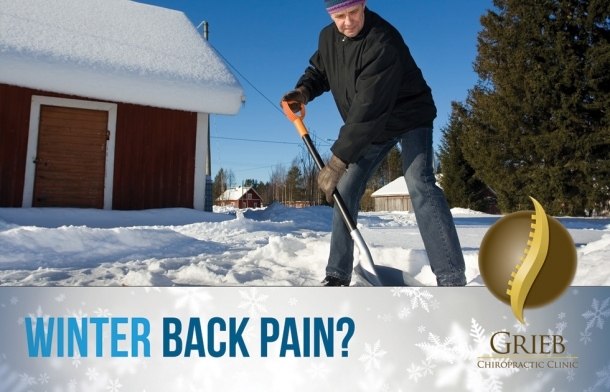 Pain in the upper and lower back can affect people at the most random times and stems from sitting for several hours each day working, landscaping, playing sports, or snow shoveling in the winter. Grieb Chiropractic Clinic provides gentle techniques in the rehabilitation and pain relief. Come in today for a free evaluation!